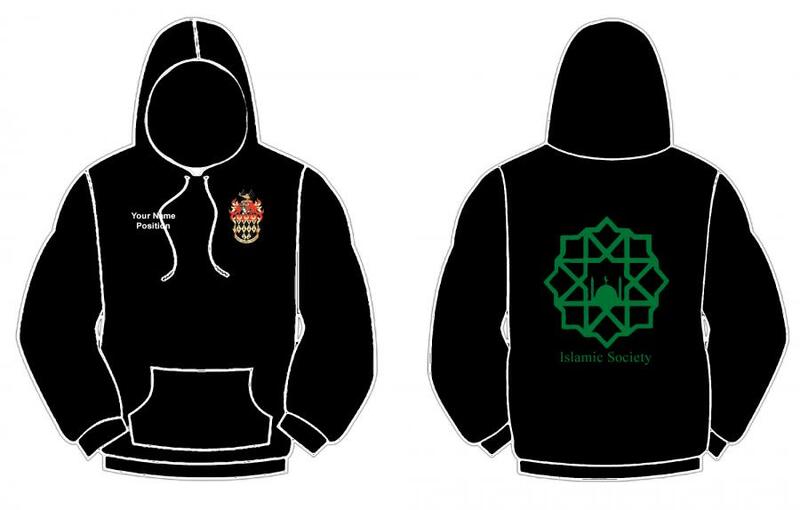 Unisex fit zipped hoody embroidered with RHUL crest on front left chest and printed with Islamic Society logo on back. Print in dark green for most colours, white on colours where this would not show up. Optional personalisation of name and/or committee position embroidered on front right chest.